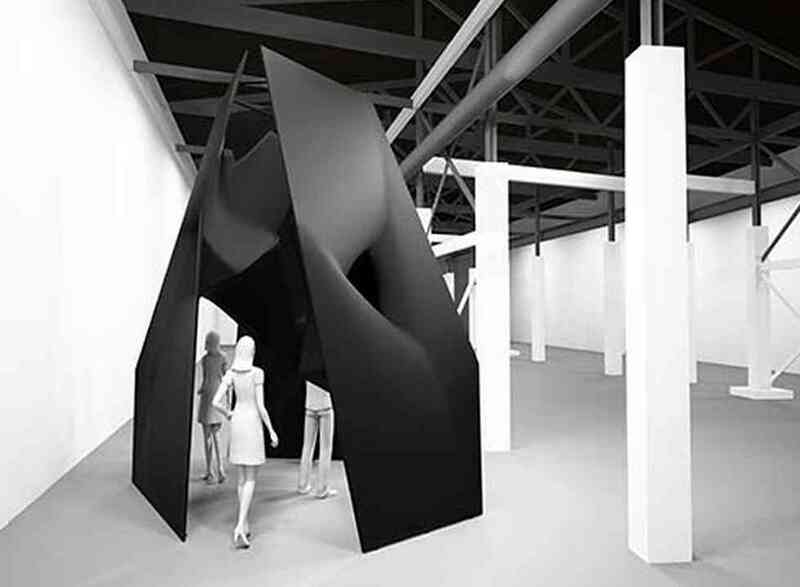 Rendering of Surface-to-Volume by Tom Wiscombe Design, part of the PST show. AN just heard from MOCA that their embattled show, A New Sculpturalism, Contemporary Architecture in Southern California, is moving ahead. The date has been pushed back from June 2 to June 16, but it will still take place inside MOCA’s Geffen Contemporary, presumably featuring the same roster of both emerging and star architects, minus Frank Gehry, of course. The show had been put on hold for several weeks for reasons that vary according to whom you ask. Curator Christopher Mount had blamed mismanagement at MOCA, while others had blamed apprehension about the show’s direction, and Gehry’s withdrawal. MOCA will present its exhibition on contemporary architecture from Southern California, A New Sculpturalism, opening June 16, 2013 at The Geffen Contemporary at MOCA as part of Pacific Standard Time Presents: Modern Architecture in L.A. The museum is excited to bring the architecture community in Los Angeles together in recognition of the world-class architecture that has been and continues to be conceived in the city by some of the most renowned and emerging firms and practitioners working today. MOCA did not make clear if Mount would still be directing the show, and Mount was understandably unable to comment. Many in the community had been outraged at the possible closure of the show, and a petition to keep it going garnered more than 100 signatures. The show received more than $400,000 in grants and gifts from the Getty Foundation and other sources. It is the only exhibition on contemporary architecture in the Getty initiative, Pacific Standard Time Presents: Modern Architecture in Los Angeles. One of its participants, LA architect Tom Wiscombe, still needs help to get his part of the show done. He’s raising funds on USA Projects for his pavilion, called Surface-to-Volume, a sixteen-foot-high inhabitable pavilion that will take its mutated form by having large indentations pushed into its thin exterior skin. The composite monocoque structure will be made of a water-based, fireproof composite with carbon and glass fiber reinforcement called M1, a material used primarily in aerospace engineering. “This is more like building an aircraft wing than a wall,” said Wiscombe, who noted that the project’s thin, large walls could only be created using such a material. Large seams will be engraved onto its surface, like tattoos. The project,which is already being fabricated by LA firm Barnacle Bros., will be complete in ten days if it reaches its fundraising goal by May 20.